Our industrial strength magnetic tool holders can hold even your heaviest tools. Not all tool holders are built the same. When you're choosing a magnetic tool holder, make sure it can handle the job you need it to do. 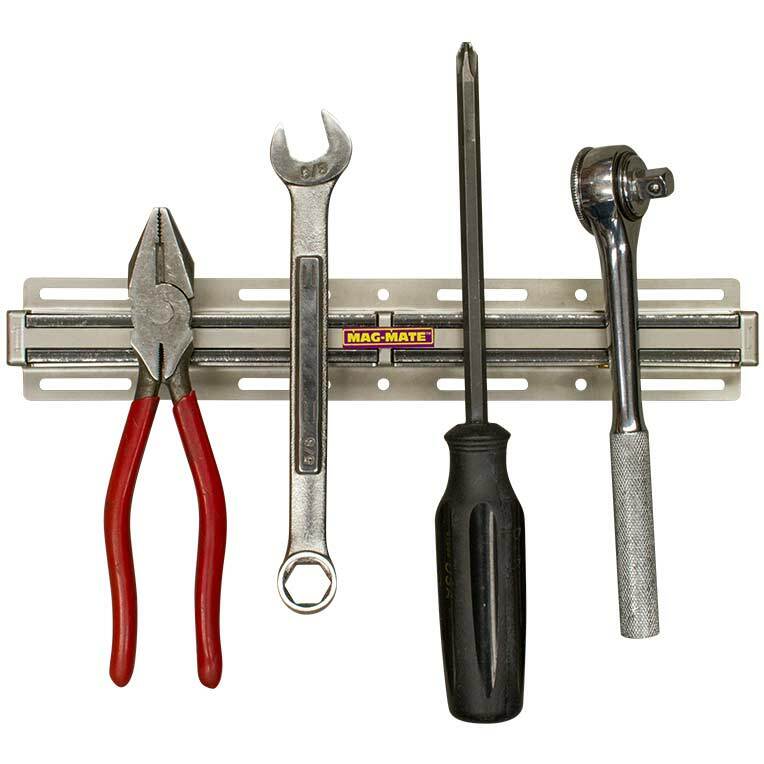 Most magnetic tool holders work well when holding light-weight tools, such as screwdrivers or small wrenches. But if you're looking for something that will hold a heavy tool, such as a large wrench, or even a sledgehammer, you will need a magnet with some power. These magnetic tool holders are constructed with a powerful, rare earth magnetic circuit and housed in a durable stainless steel housing. 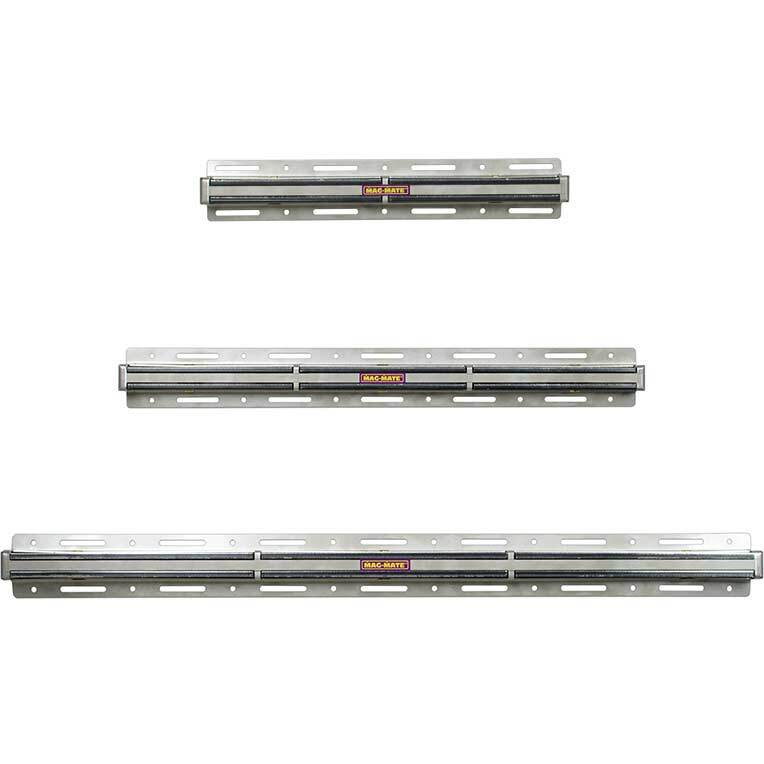 Available in 12", 18" and 24" lengths, they can hold from 120 - 240 lbs. Mounting holes and screws are provided so you can easily mount to walls, workbenches or even ladders. Great for the shop or home use. Ideal for keeping tools or drill bits close at hand and organized! Mount to walls, workbenches or even ladders. Great gift idea! Holds a 10 Lb. sledge hammer! 120 lbs. TH1200 12 2 lbs. 180 lbs. TH1800 18 3 lbs. 240 lbs. TH2400 24 4 lbs.